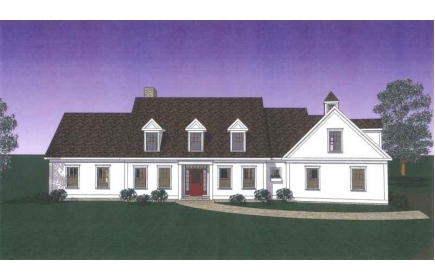 The Langdon is a traditional New England Cape Cod style home. This nearly 3000 sq ft home is anything but ordinary. 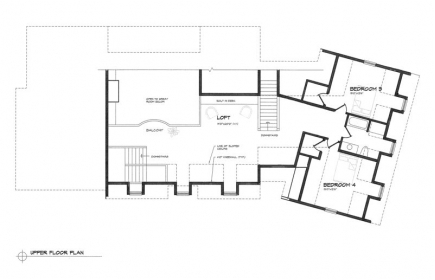 The master bedroom suite features a vaulted ceiling and is located on the main floor along with the guest suite/study. A guest bath and laundry are located conveniently just off the main entrway. 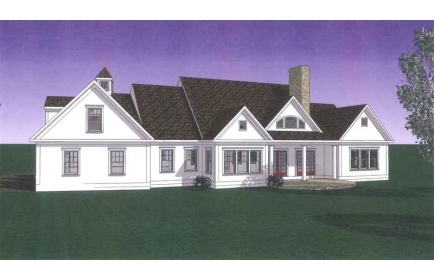 The plan boasts an open concept including a large kitchen/dining area and great room with cathedral ceiling. A great feature is the covered porch off the great room. 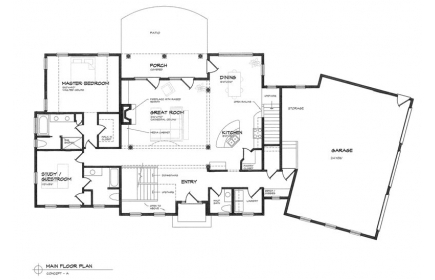 This plan includes two bedrooms on the upper level with loft and balcony overlooking the great room.